See, I told you she was a master, didn’t I? 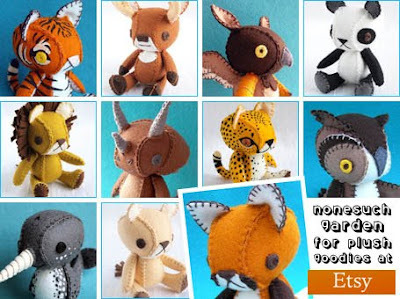 At the Nonesuch Garden Etsy shop you can pick up adorable plush toys for any occasion. And with characters including lions, bunnies, owls, rhinos, giraffes, meerkats and more, you can be sure you’re getting yourself something truly unique. In fact, if you look hard enough you may even find yourself a narwhal or plesiosaur in there! And you don’t get that from your average toy shop, do you? A New Wave Album for a New Wave Mascot! Robots Galore at Concept Store! A Punk Album for a Punk Mascot!